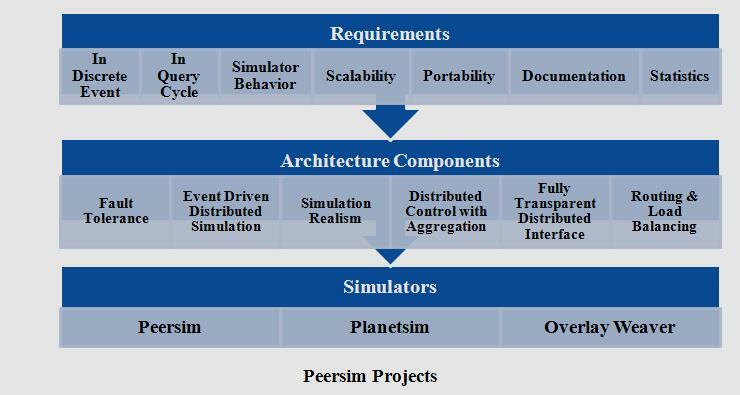 Peersim Projects ,Peer to Peer (P2P) simulator is a self organized autonomous entity called peers. 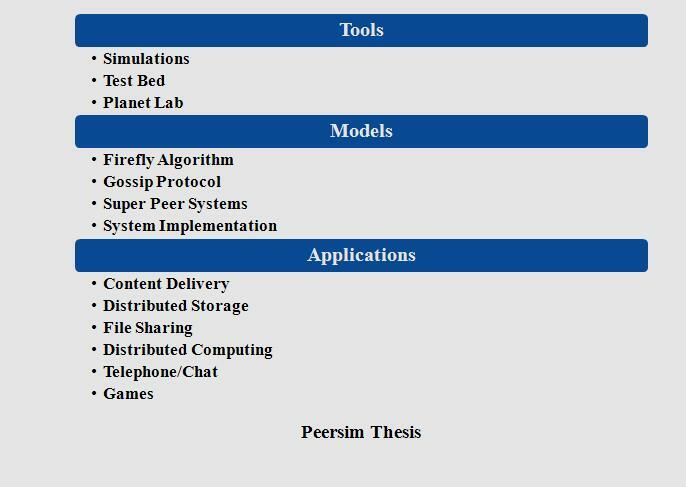 We offer peersim simulator projects for social, academic and commercial application. We provide computer resource sharing and services exchange among peers. 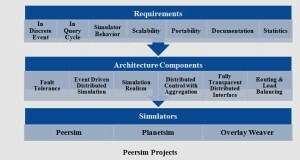 We provide peersim simulator project center with well technical talented employees. We implemented P2P system in more than 75+ projects such as distributed storage, distributed computing file sharing, games and telephone chat. We run P2P system for various applications such as Bit Torrent, kazaa, eDonkey, SETI and IRC. We implement architecture as discrete event and query cycle. Queue message are synchronized to transfer among simulated nodes. Queries are passed when nodes required. We simulate both structured and unstructured networks. We simulate node as churn and ensure flexibility. We use statistic output data to manipulate and analyze tool with Xgraph. Simulator provides tunable underlying Network model based GT-ITM for high degree real world accuracy. Simulation code can be reused with some modification. Ideally equal the claims of neurogrid (300,000) or peersim (106). We use testbed to configure network device such as switches, routers, links to create a variety of different network simulation and traffic environments. Planet lab is set of computer as testbed for computer network and distributed system research.